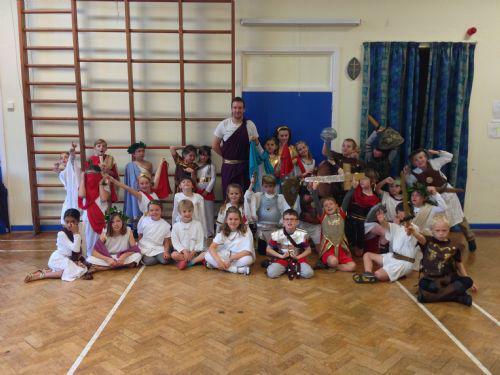 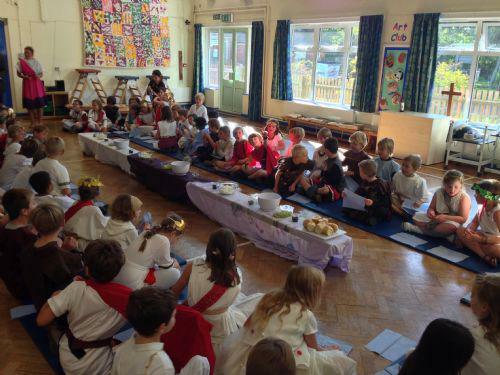 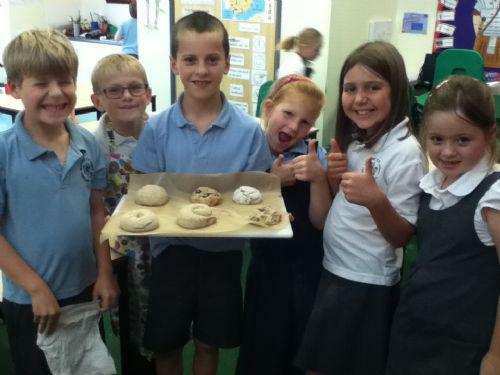 On Tuesday 16th October we had a 'Roman Day' to extend all we have been learning about in our Topic work so far this term. 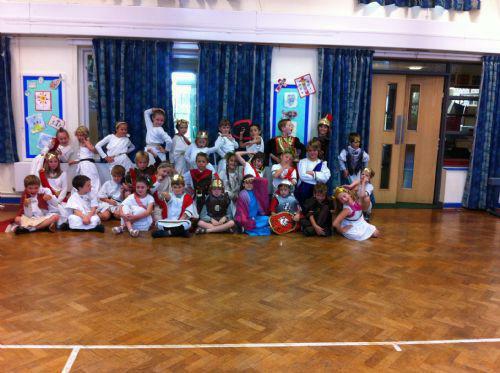 We started the day in the hall, showing off our fantastic costumes. 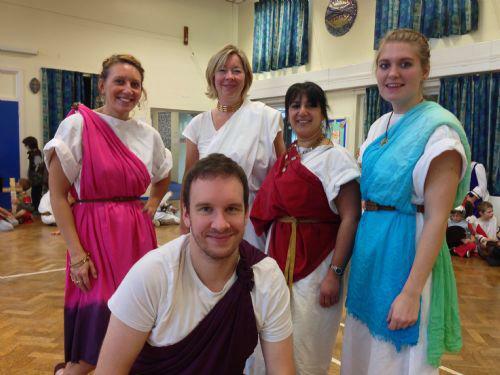 Of course, the staff joined in too! 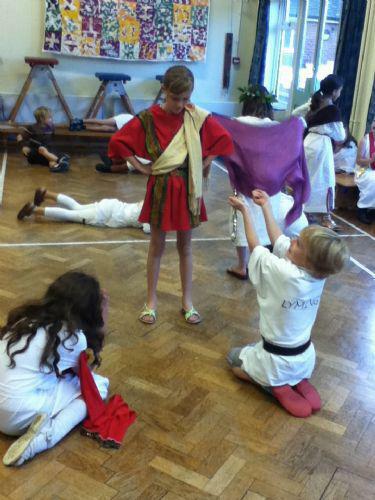 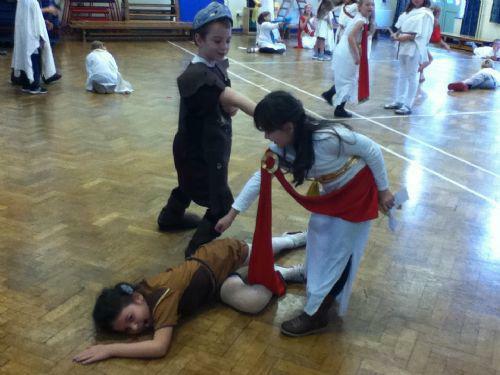 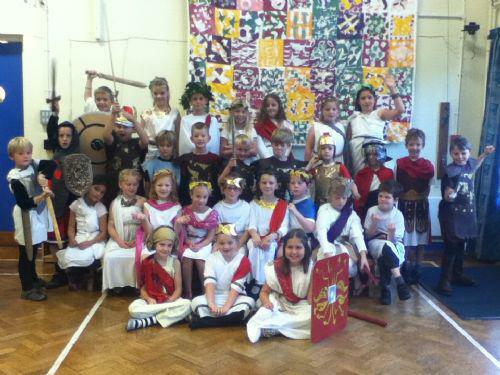 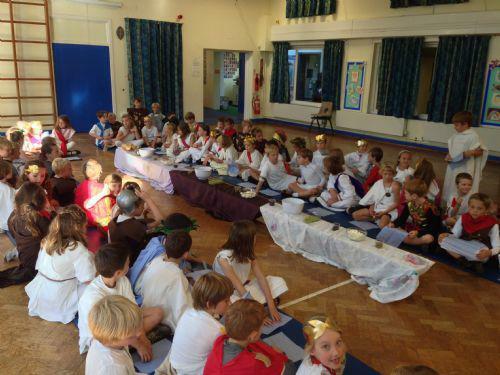 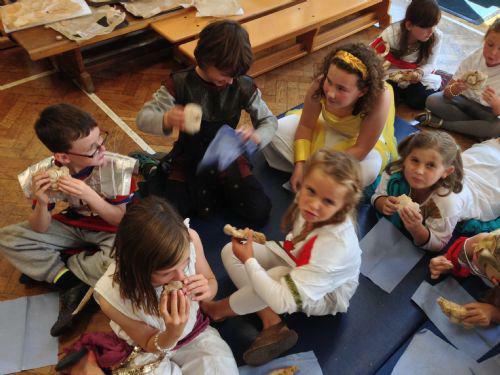 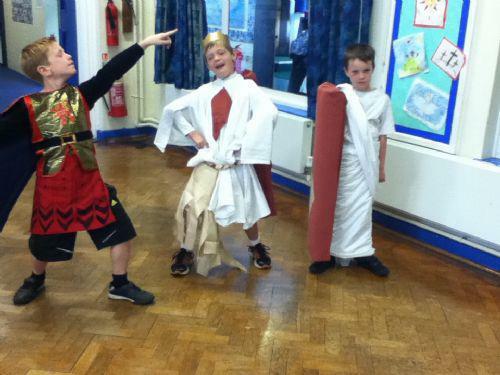 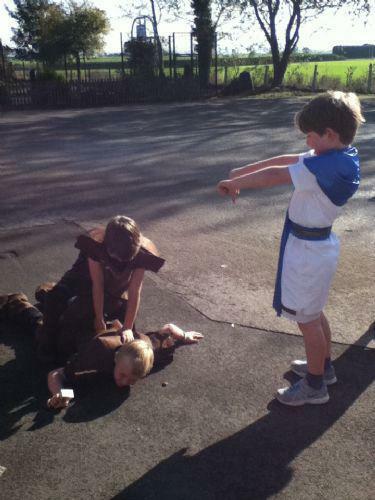 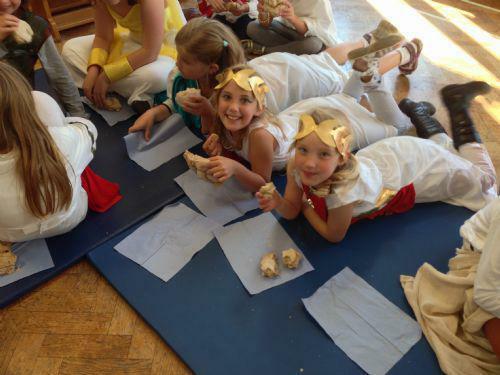 Miss Cummings led a Drama workshop where classes could display their acting skills, re-enacting snapshots of the Roman empire such as gladiator fights, debates in The Roman Forum and slaves and their masters. 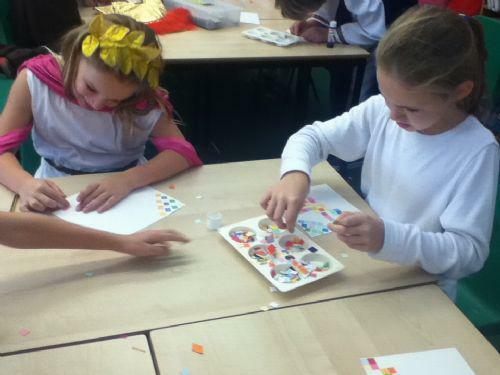 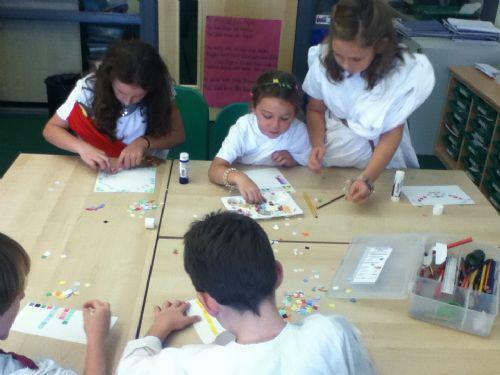 Miss Walton led a mosaic workshop where the children had a chance to make their own paper mosaics, using images of the Roman art form for inspiration. 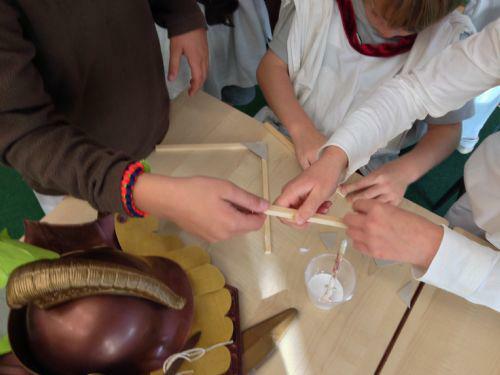 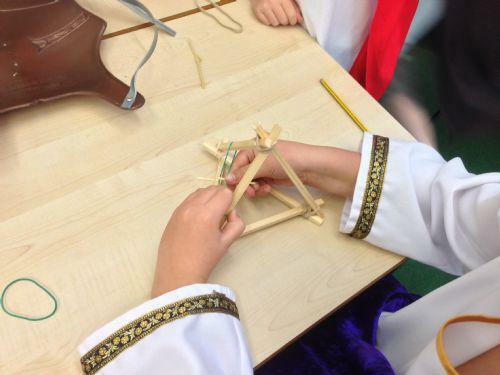 Mr Cant led a catapult workshop where children learnt about this form of Roman weaponry and its origins, then had a go at making their own. 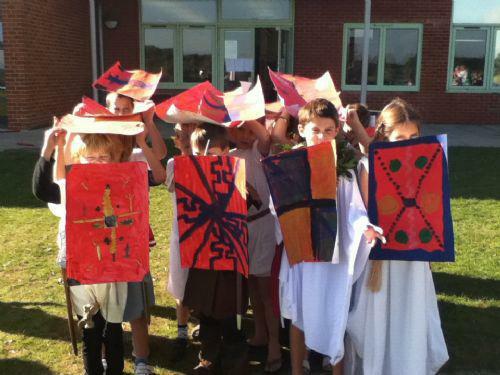 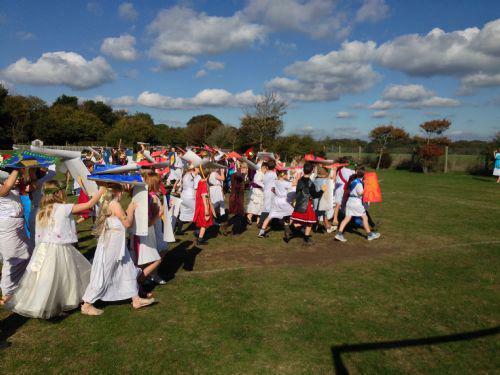 After lunch we marched to the field with the shields we had been making to create the tortoise-shell ('testudo') formation used by Roman Legions as they went into battle. 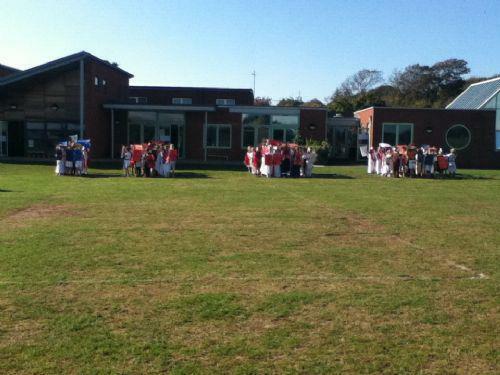 We found that keeping formation was not as easy as we had expected! 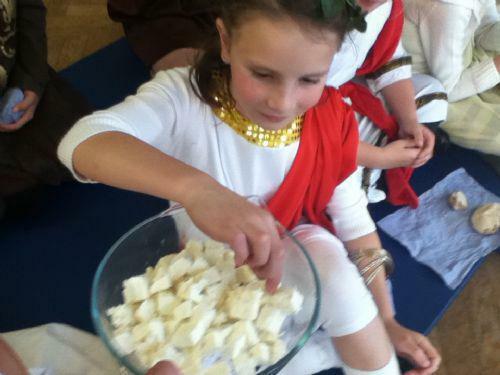 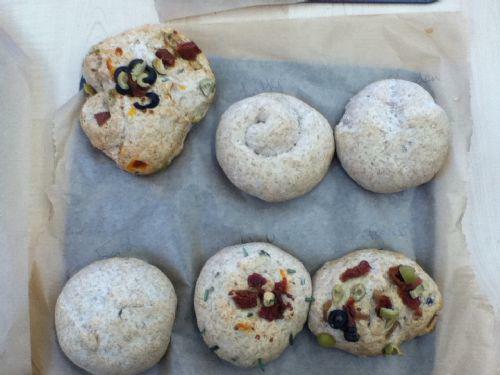 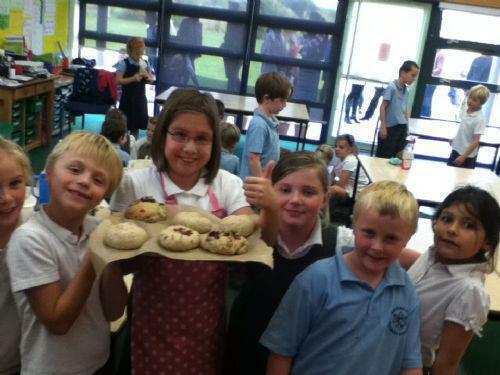 ... and now had a chance to try them with a mixture of feta cheese, olives and grapes.